U.S. Figure Skater Brian Boitano took home the Gold at the XV Olympic Winter Games in Calgary, Canada. Brian Boitano was born Brian Anthony Boitano in Mountain View, California on October 22, 1963. In 1978 Brian made his mark on the international figure skating scene when he won the bronze medal at the World Junior Figure Skating Championships. To win that medal he beat Brian Orser; the two would later become skating rivals. Going into the Olympics, Boitano and Brian Orser both had won a World title and both had excellent, balanced repertoire, with Boitano being known as the better technician and Orser as the better artist. Adding to the rivalry, Boitano and Orser were both performing military-themed programs. Boitano’s was to the music of Napoleon. The Battle of the Brians at the 1988 Winter Olympics was the highlight of Boitano’s amateur career. Boitano and Orser were effectively tied going into the free skating portion of the event and whoever won that portion would win the event. Alexander Fadeev had won the compulsory figures section of the competition, worth 30% of the total, with Boitano second and Orser third. In the short program, worth 20% of the total, Orser placed first and Boitano second. This gave Boitano a small lead, but the free skating was, at the time, worth 50% of the score, and so Boitano’s lead would not be enough to hold him in first place if he lost the free skate. 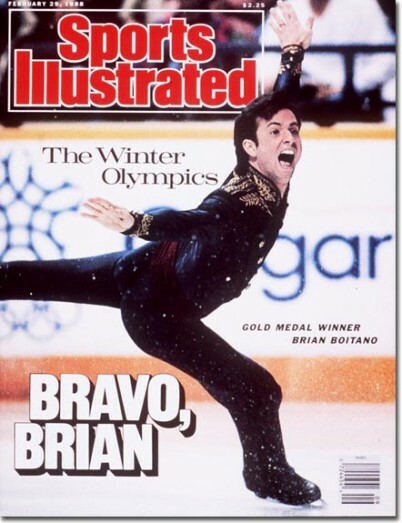 Brian Boitano’s Gold medal winning performance…..
next post: Rihanna Breaks Her Silence. Sort Of. 50 queries in 1.360 seconds.